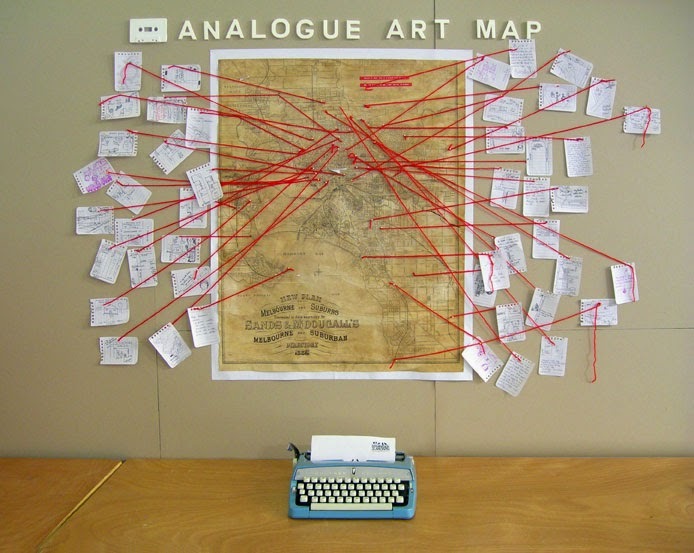 During Next Wave Festival 2010, Analogue Art Map presented an collaborative mapping project within Stranger of the Month. Visitors to the temporary mailroom at Office 10, Level 3, Nicholas Building, Melbourne, were invited to submit maps to favorite places or hidden treasure. Stranger of the Month included works by select artists whose practice involves intervention in public space: Rebecca Cannon, Panther, Nathalie Quagliotto, Jason Maling, Lucas Ilhein and Analogue Art Map. Stranger of the Month also invites you to contribute instructions via the website.